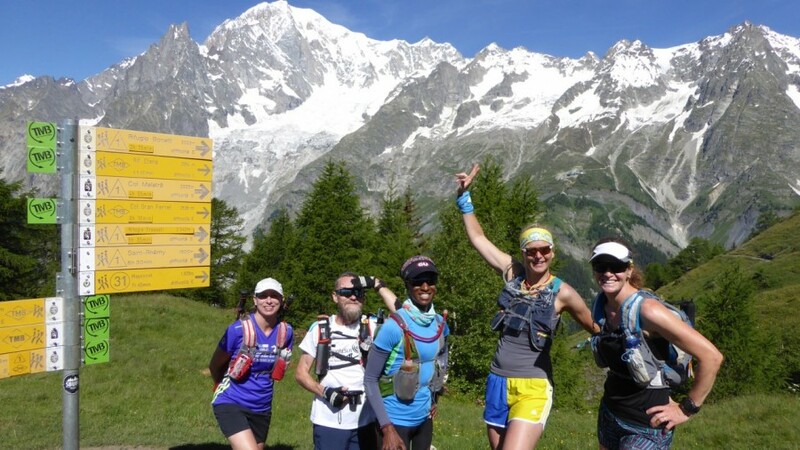 The tour around the mighty Mont Blanc is one of the most iconic trails in the world. 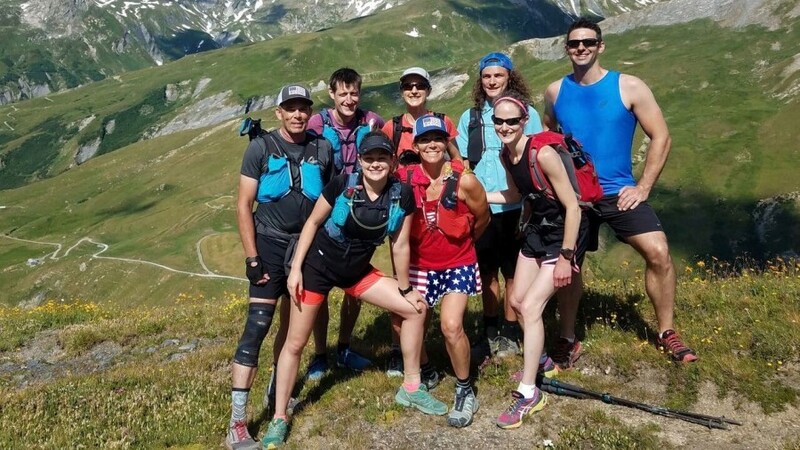 Join us on this multi-day trail running trip of a lifetime around the crown of the Western Alps. Passing through some truly spectacular mountain scenery, it is a route steeped in history, culture and folklore. 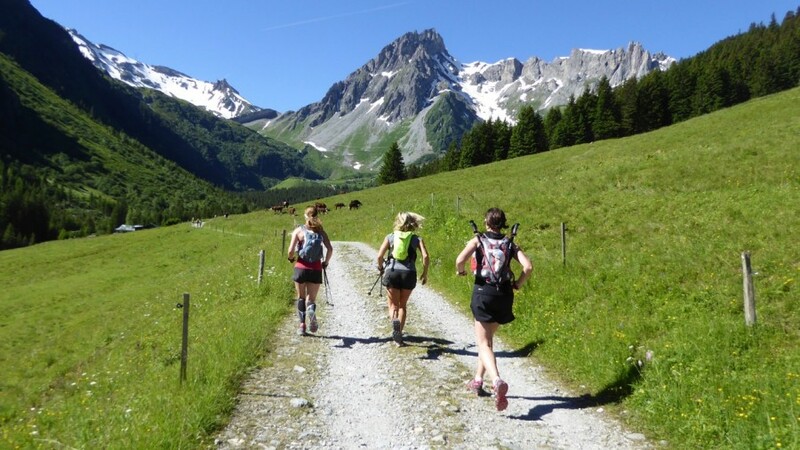 You will run on ancient pathways used by hunters, herdsmen and traders on a route taking you through France, Italy and Switzerland. 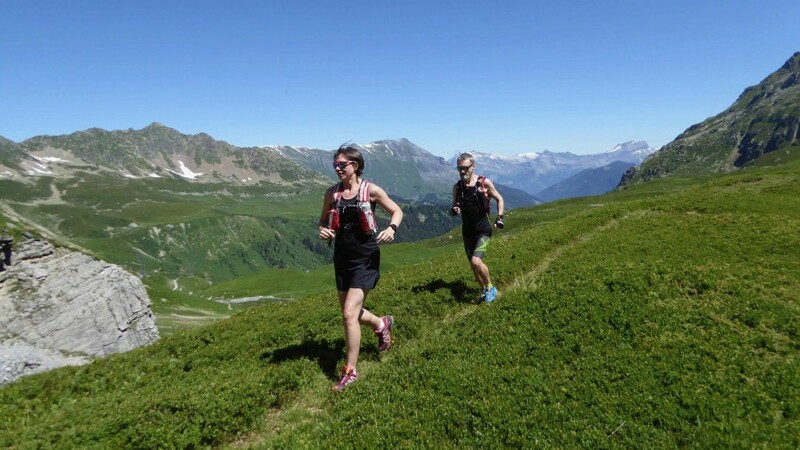 Smooth, runnable trails are interspersed with technical, rocky sections over the high mountain passes. Breathtaking alpine landscapes await, flanked by colourful meadows tumbling down into picturesque hamlets and villages. It is both a nature lover's and a trail runner’s paradise. 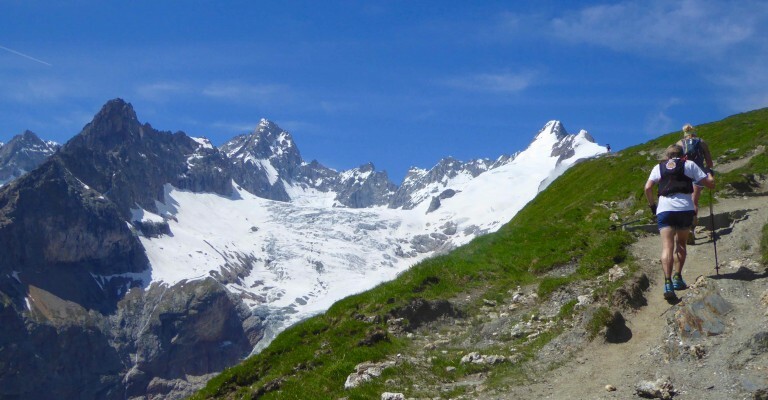 This is one of the world's most famous long distant hiking trails, or to use the French term a 'Grand Randonée' or 'long walk'. 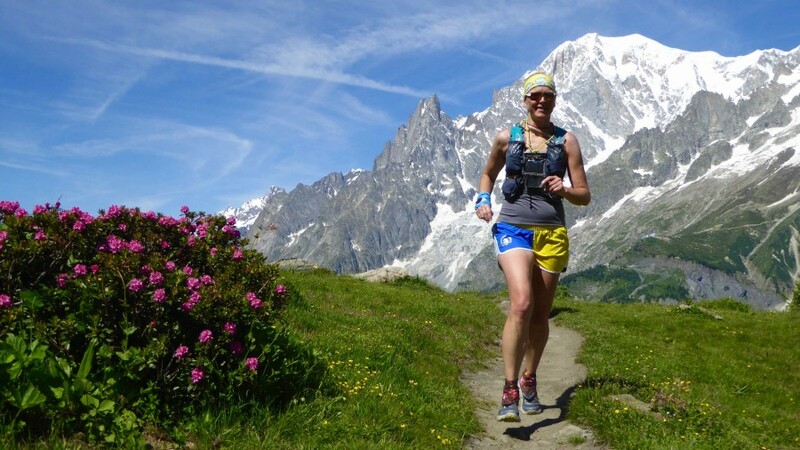 It has become even more famous in recent years, in the trail running world, as the route of the mythical Ultra-Trail du Mont Blanc® (UTMB®). 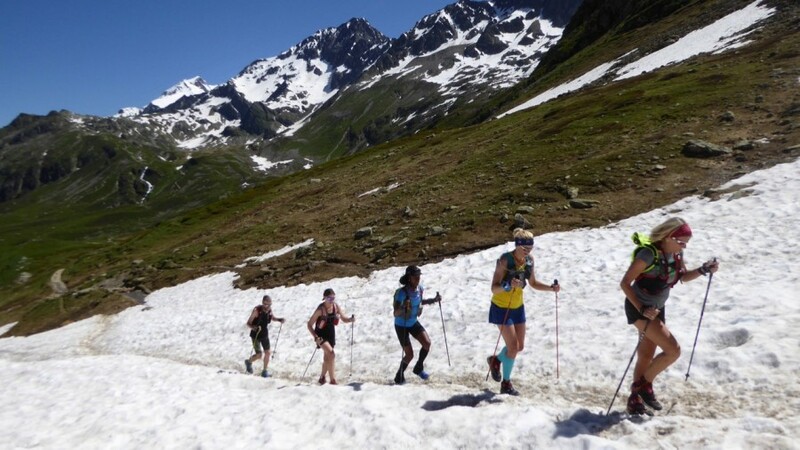 This is an ultra marathon taking place each year in August. 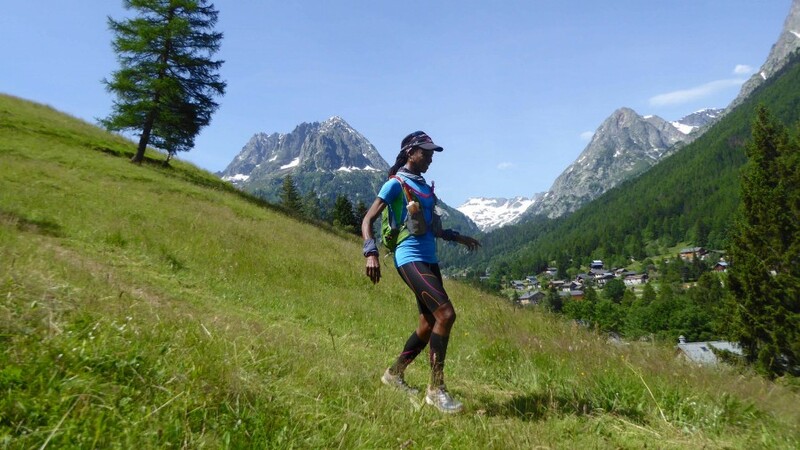 Covering 106 miles (171kms) with over 10,000m (32,800ft) of elevation it offers a formidable challenge to experienced trail runners. 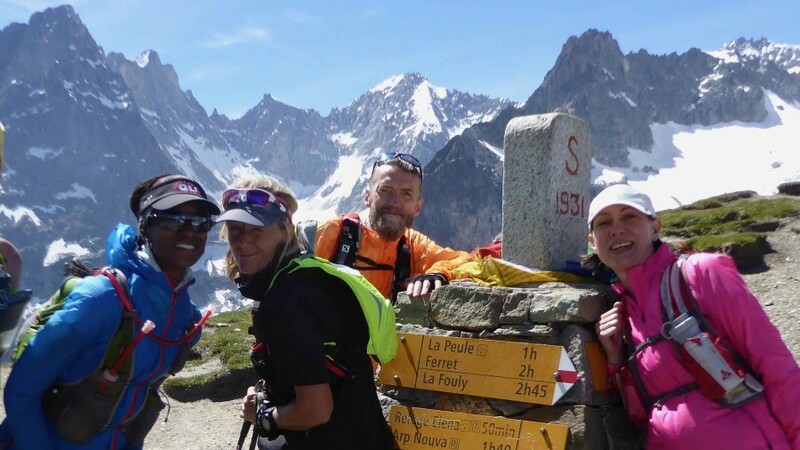 On this trip you are on holiday, it is not the race, and therefore we spend one week running the route and taking time to enjoy the mountains. 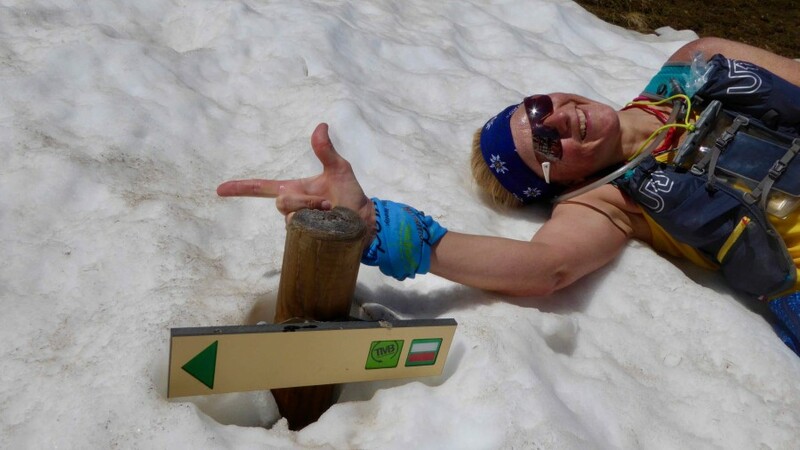 Each day we will run/hike about 30 kilometres (18 miles), with at least one high mountain pass. 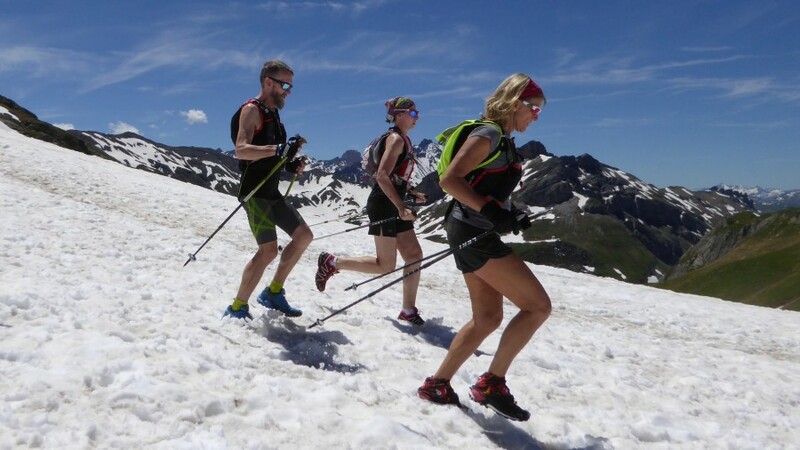 We’re likely to be on our feet for 6-8 hours per day with lots of ascent and descent on a variety of mountain trails. 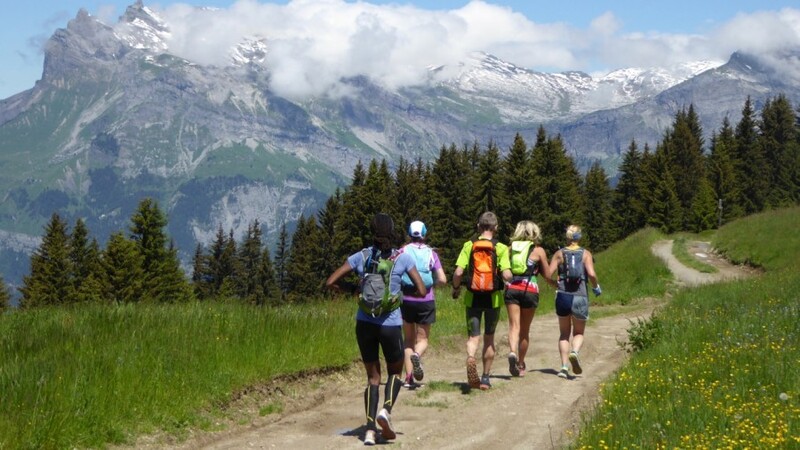 This trip is suitable for experienced mountain trail runners. I found the trip the most wonderful experience. It has opened my eyes to a whole new world of trail running. Our guide, Al, was really brilliant: a very knowledgeable and cultured man, very good company and reassuring. 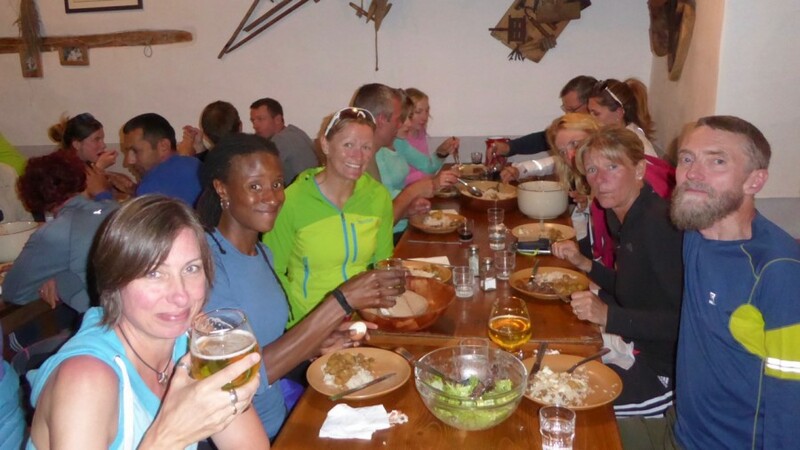 It met and exceeded my expectations…wonderful scenery and fantastic team of people. Memorable moments are too many to single out! Yes, I would definitely travel with Tracks & Trails again. Al was outstanding – we were so lucky to have him. 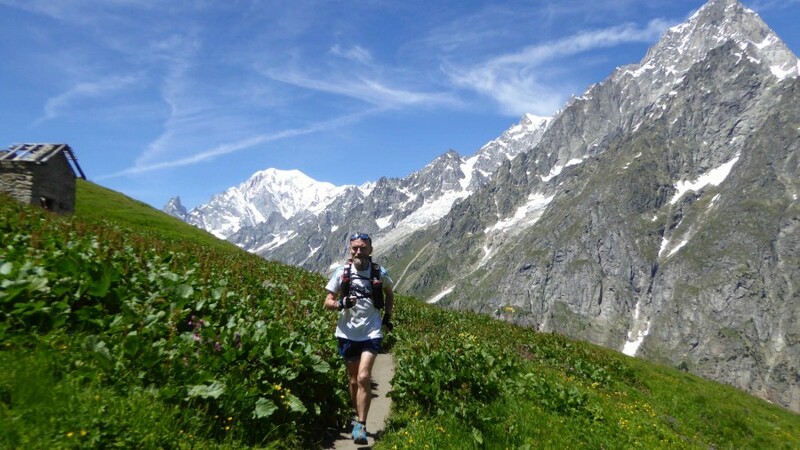 I have entered the CCC in a couple of weeks so for me it was very informative to learn about him completing the UTMB and the difficulties faced. The group also made the whole trip fantastic as we all really got on well and travelling on my own I was made to feel very welcome. Top marks! I could not rate it highly enough. 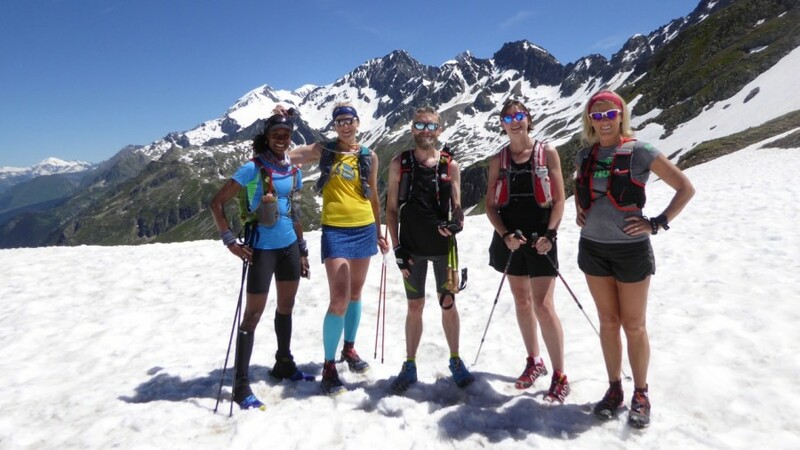 Your running guide will meet you this evening at your hotel in the world famous Chamonix Valley, in France to answer any last minute questions and to brief you on the days ahead. 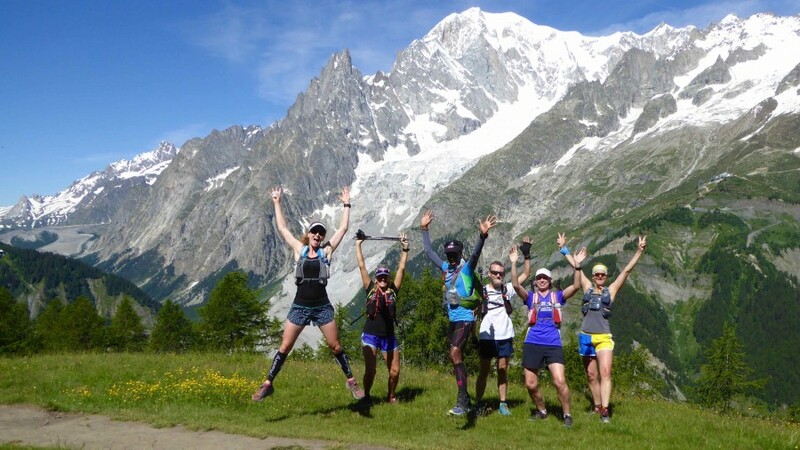 Today we set off from the world famous alpine town of Chamonix, in France, home to Mont Blanc, the highest mountain in Western Europe at 4810m (15,776ft). 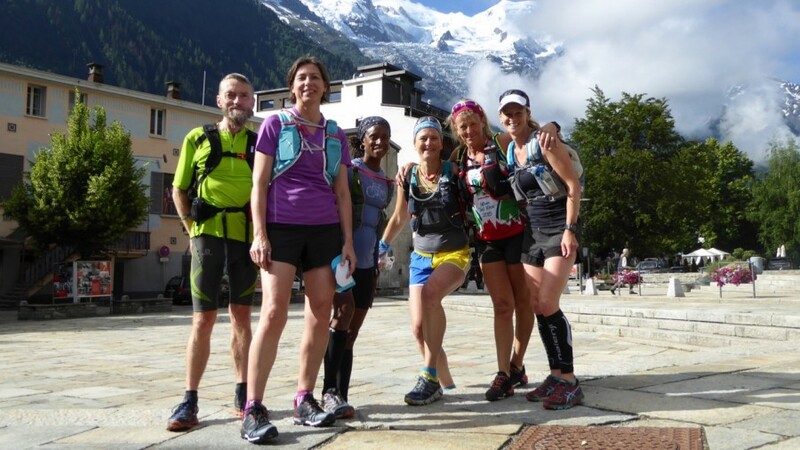 We warm up running through the town when you have the chance to visualise the start line for the Ultra Trail and how it must feel to be with thousands of others running through the streets of Chamonix at the start of this immense challenge? We soon leave the tarmac behind as we head down the valley on a gentle trail following the Arve River towards the village of Les Houches. 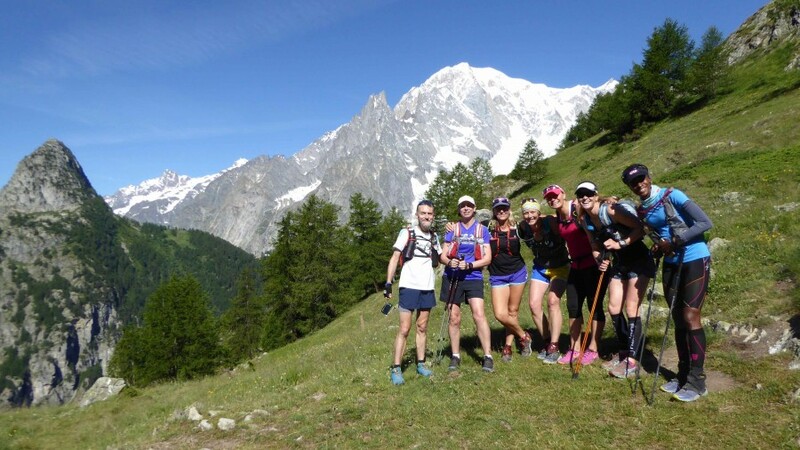 Then we begin to work as we climb up through the forest heading for the Voza pass to gain excellent views of Mont Blanc and the surrounding glaciated peaks. 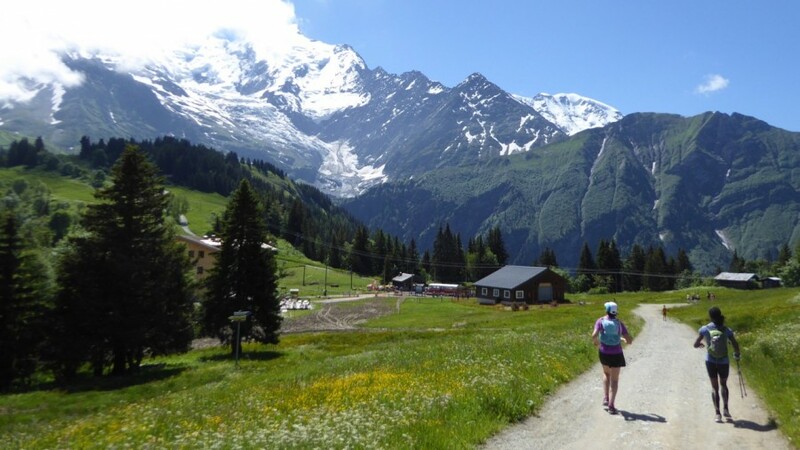 We will then descend towards the historic spa town of St Gervais-les-Bains, passing quaint chalets and rustic farms, before following the valley trail to Les Contamines village at 1170m (3837ft) and our first overnight. In times past Les Contamines was strategically important as the crossroads of a Roman road linking Genève in Switzerland to Aosta in Italy. We start our day with a great warm up running along the riverside on a wide flat trail. We are heading straight into history this morning as we take the Roman road constructed many centuries ago by soldiers to secure the trading route to the Beaufortain area. On the way we will pass the beautiful baroque church of Notre Dame de la Gorge. 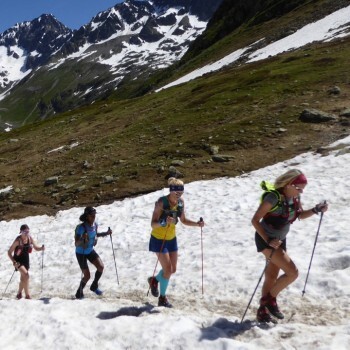 The route then climbs steeply for a short section as we head for the refuge at Le Balme, a great first goal where we can have a snack and a drink, re-fill our water bottles, and use the 'facilities'. At Le Balme we can contemplate the steady climb to the Col de Bonhomme, our first major pass, which sits at 2439m (7999ft). Early in the season the Col will often have snow patches left over from the winter. 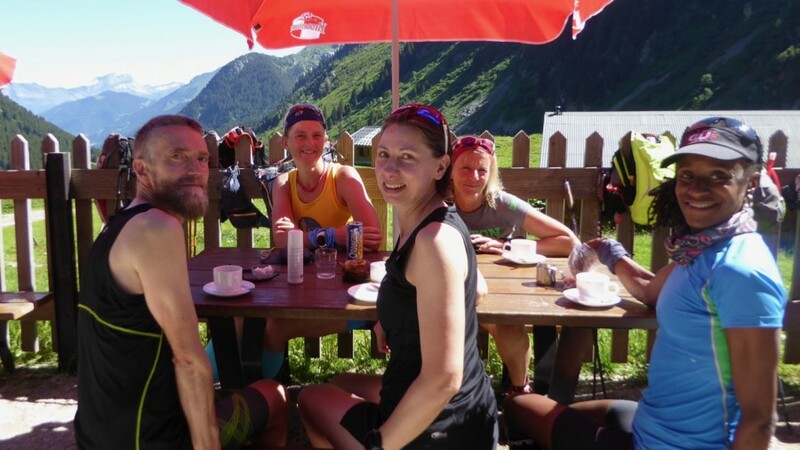 A little higher is our second col the Croix de Bonhomme where coffee and cake awaits. Then it is all downhill as we take a sweeping trail through meadows down to Les Chapieux. 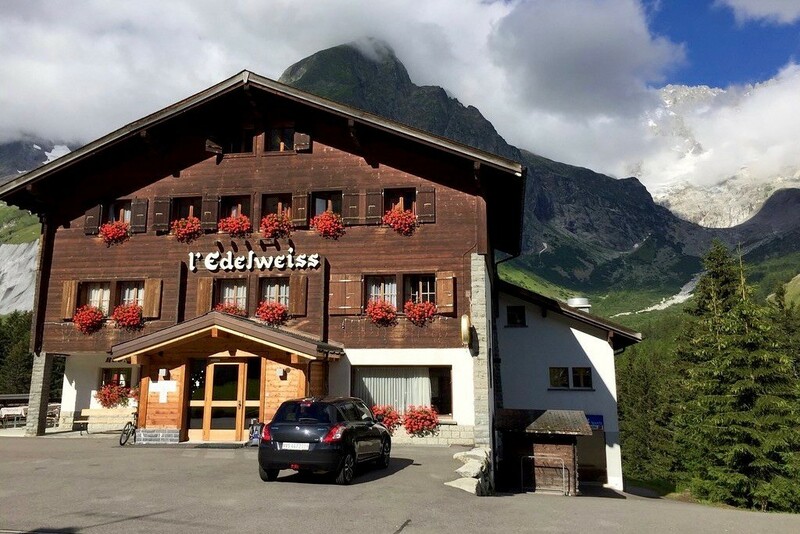 Tonight we will either stay at Les Chapieux or enjoy a few more km's of a steady riverside trail to the next accommodation at Refuge Les Mottets at 1864m (6113ft). This morning you will wake up in a remote mountain valley which in the winter months is totally 'cut off' from the outside world. A wonderful way to begin our day of running! 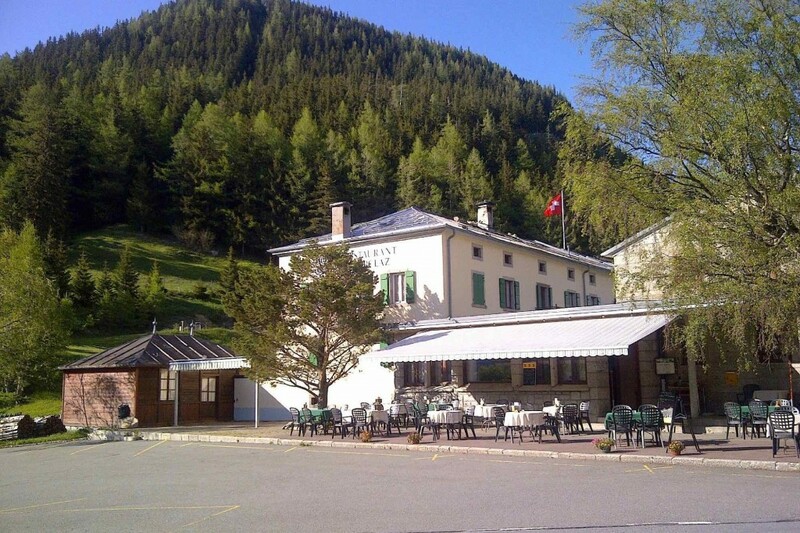 We leave our accommodation to regain the trail which climbs steadily to the Col de la Seigne and the Italian frontier. The trail is wide and at an easy angle, and climbs very efficiently. 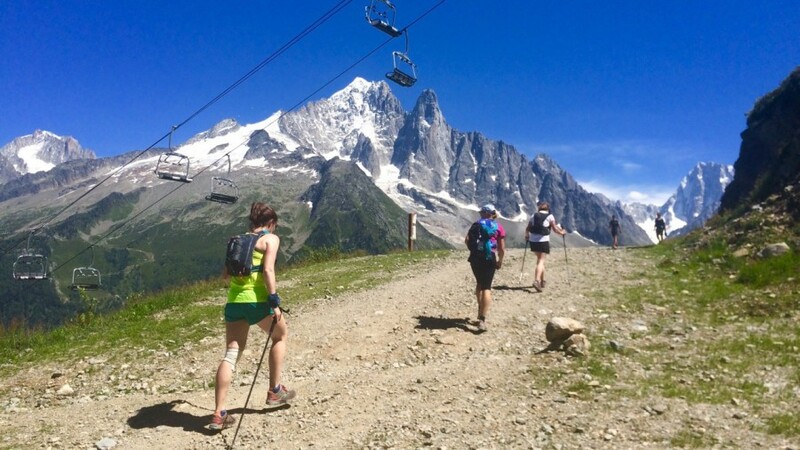 Once we reach the Italian frontier there are stunning views as we descend into Val Veny with its sparking glaciers and Mont Blanc towering above. 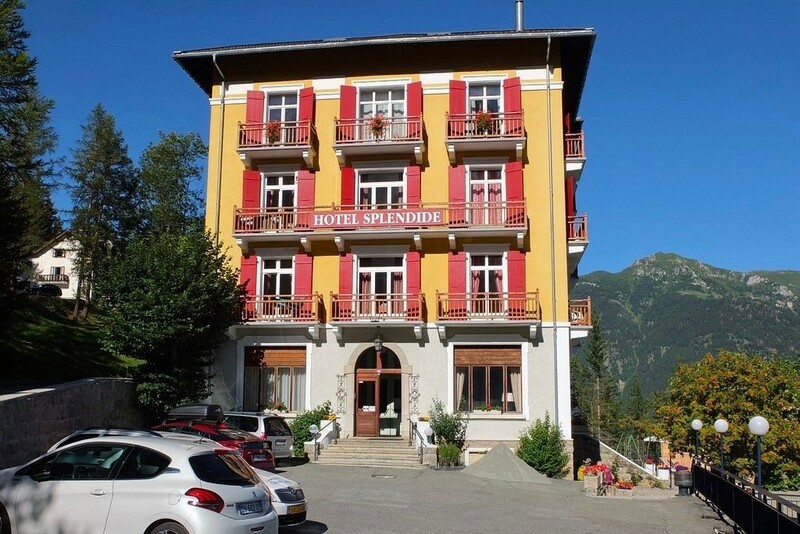 We then climb steeply up to the ridge on Mont Favre, and then down to the Col Checrouit to the fantastic Rifugio Maison Vieille, offering excellent Italian hospitality. Then it’s downhill all the way to the ancient town of Courmayeur. 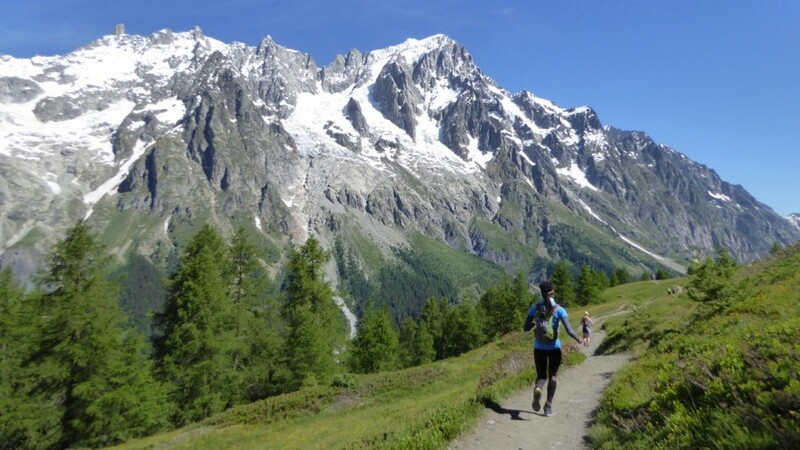 Courmayeur is also the meeting point for anyone joining us to run the three day route of the CCC Ultra Marathon, which quite simply stands for 'Courmayeur, Champex, Chamonix'. 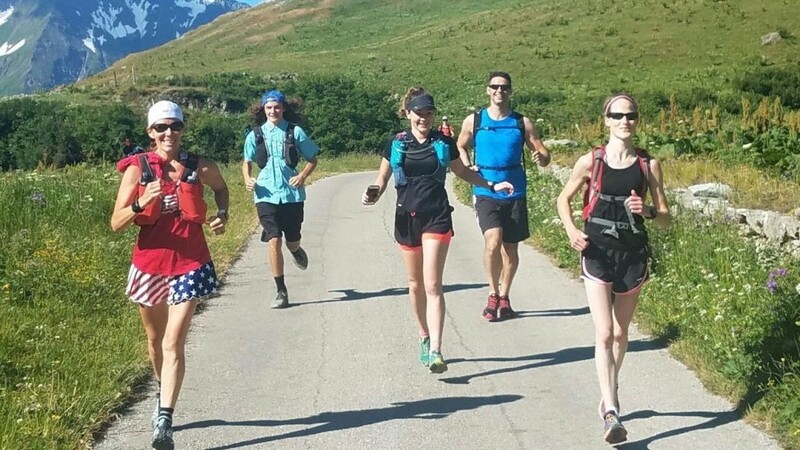 For those joining in Courmayeur this evening there will be a briefing when you can discuss the route with your running guide. A grand finale today as we climb out of the Trient valley and back into France. We leave our Col, which used to be the frontier between Switzerland and France, and begin with a steady decent through the forests down to Trient. 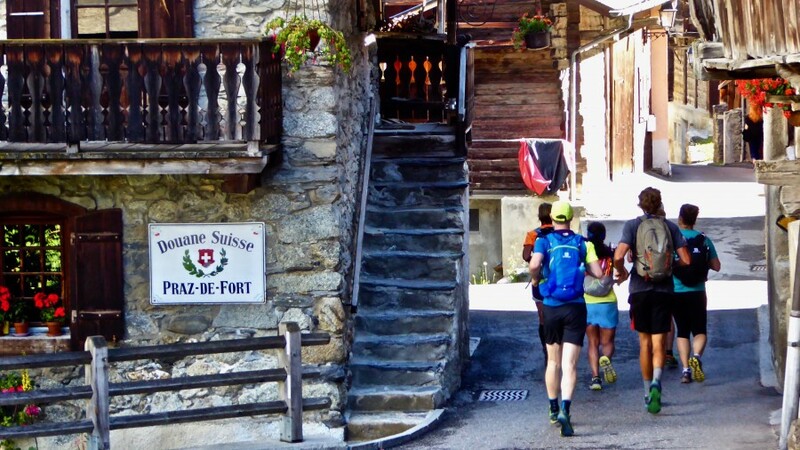 Passing through this tiny village we then take the trail towards France, and Chamonix Valley. Our first goal is Vallorcine village, famous as the 'valley of the bears', where in the Middle Ages the locals used to pay their taxes in bear meat, so numerous were the bears! Sadly, and perhaps not unsurprisingly there are no bears left today. After Vallorcine, we have a short uphill to the Col des Montets before facing the steep zig-zags to the Tetes aux Vents at 2127m (6976ft). 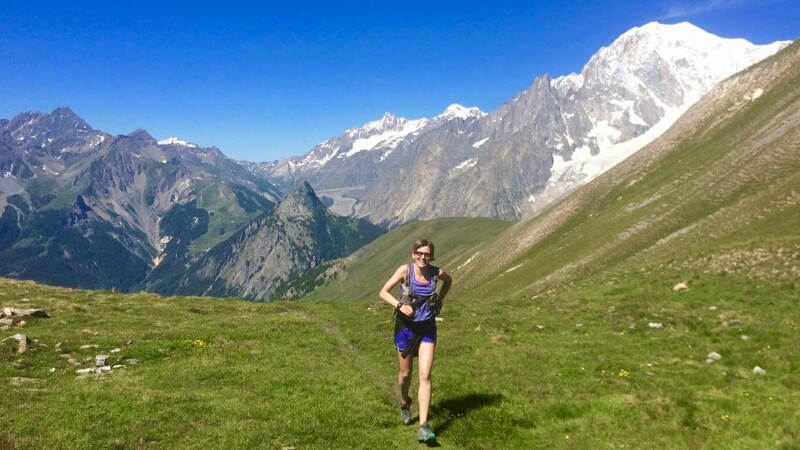 The views en route of the Mont Blanc massif reward our efforts, and we make our final descent towards the Flegere cable car station, before dropping down steeply to where we began our journey six days ago in Chamonix! Time to celebrate, rest the body and mind and recover with an optional massage. 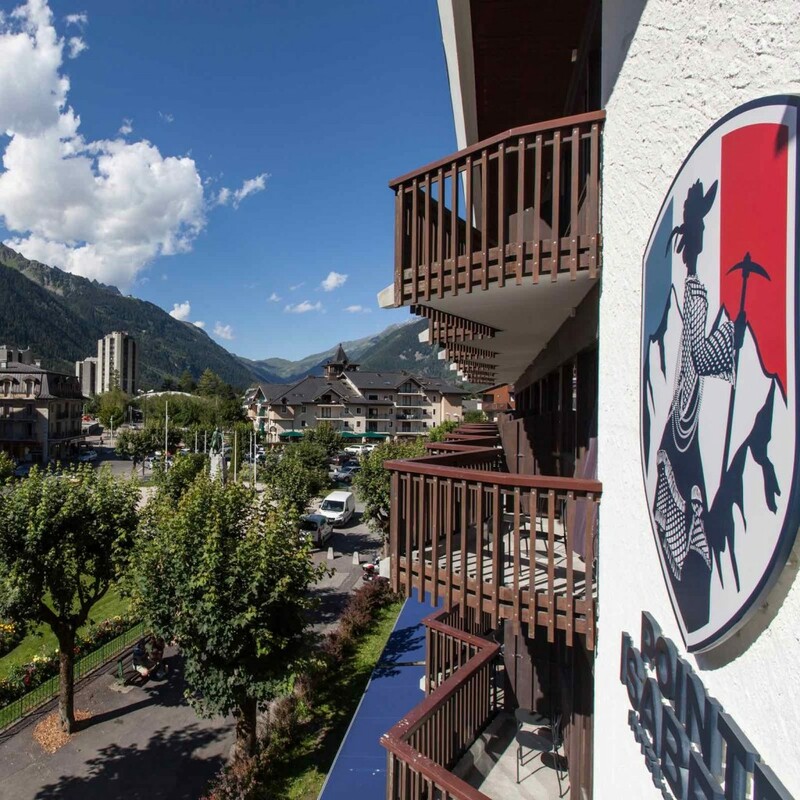 Les Contamines is in a lovely valley, and is a typical market town. 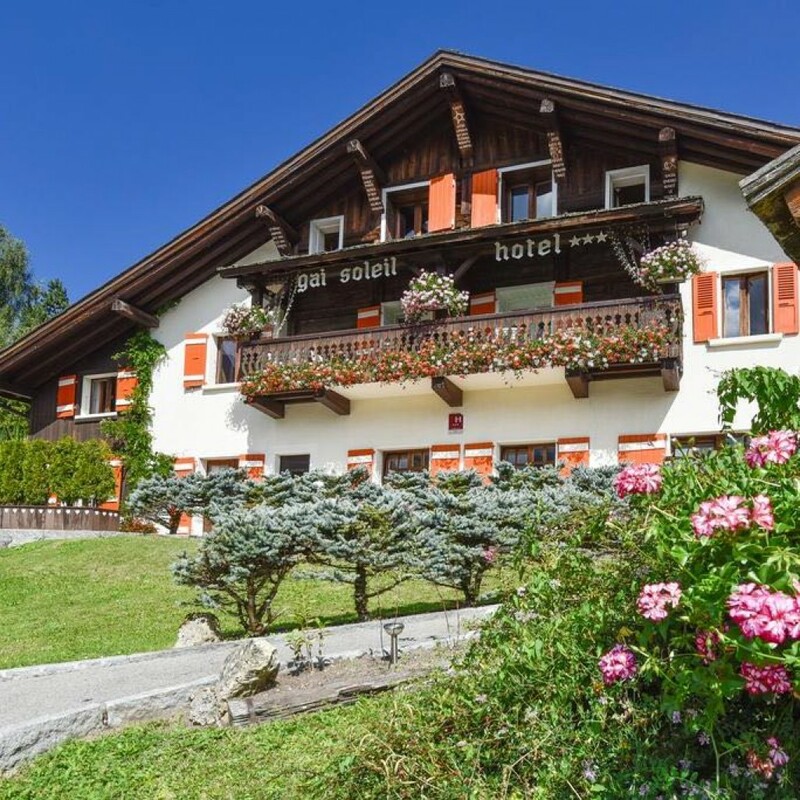 We aim to stay at the Hotel Gai Soleil which is a traditional style chalet-hotel. It has a large garden with seating, and on a summer evening it is a lovely place to spend some time. 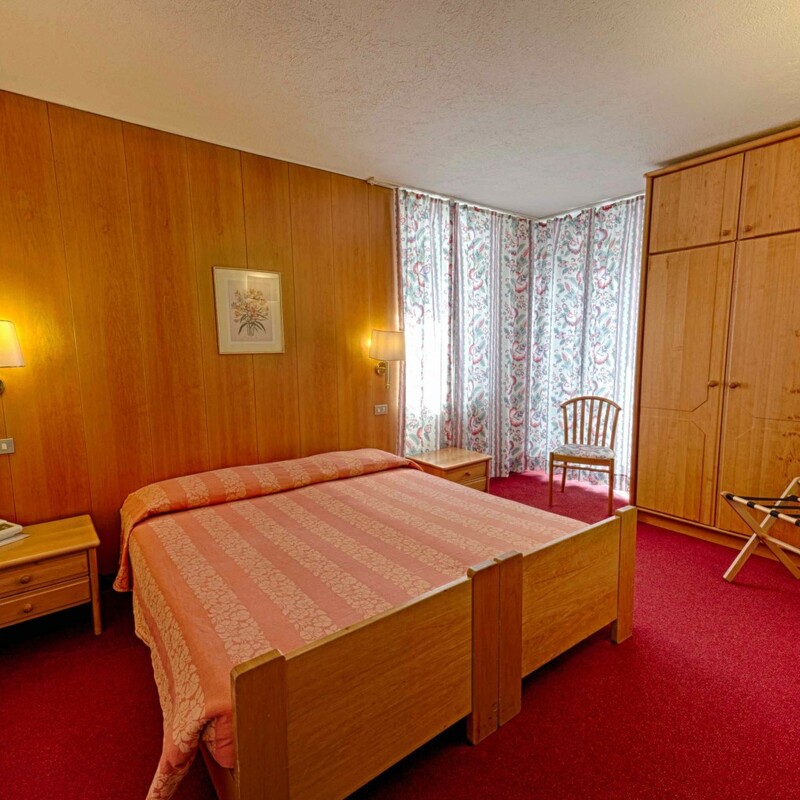 Rooms are en suite, and dinner is usually local Savoyard dishes. 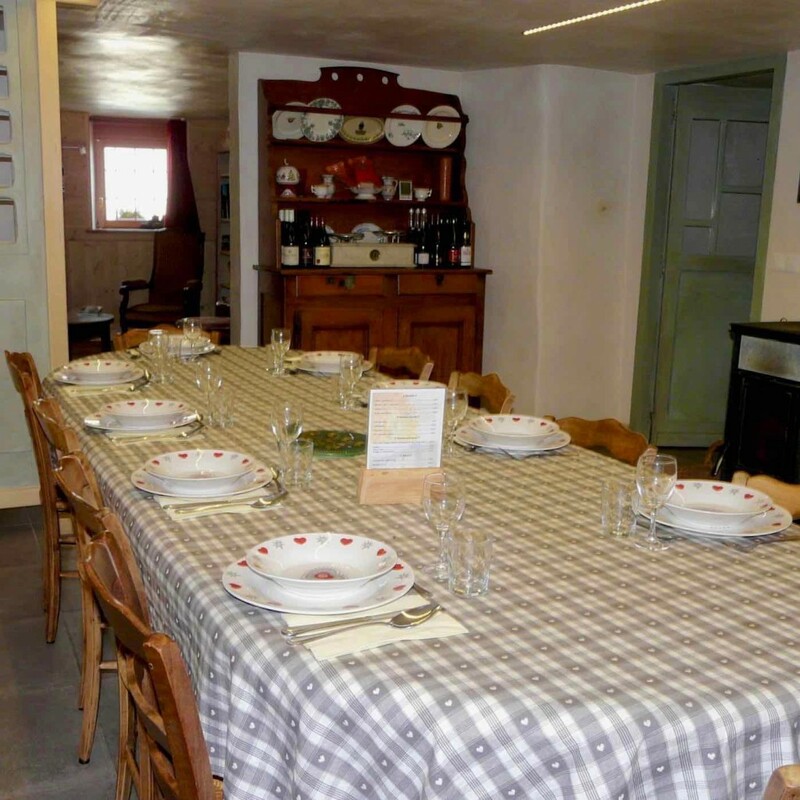 The Chambres du Soleil guest house is located in the heart of the Les Chapieux and is without doubt one of our favourite overnights. A warm welcome and memorable stay is assured here thanks to Céline and Pierre, who offer comfortable rooms and excellent homemade food. 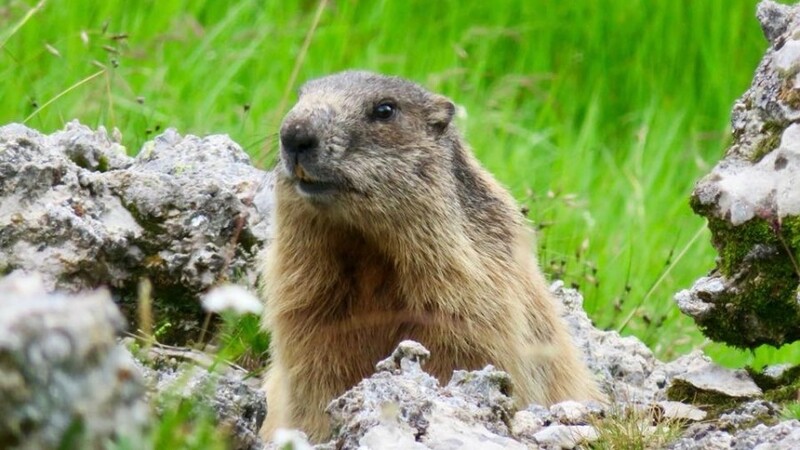 Please note that at Les Chapieux it is always difficult to secure accommodation, and for that reason you might find yourself staying at the Refuge de la Nova next door, or indeed the Refuge des Mottets along the valley. 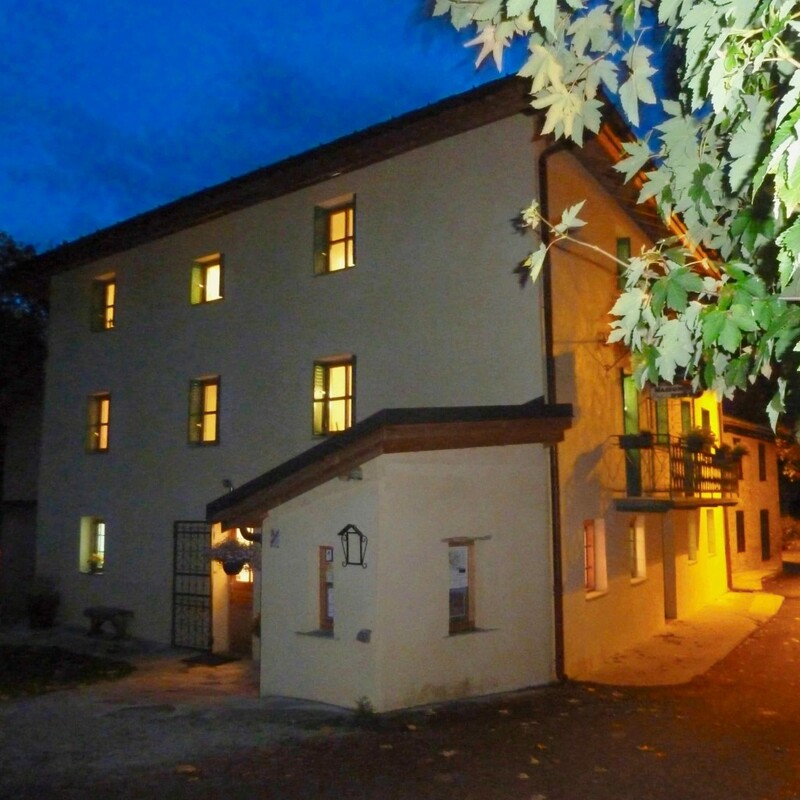 We aim to book bedrooms, but larger rooms may be necessary as spaces are always at a premium in this tiny hamlet. 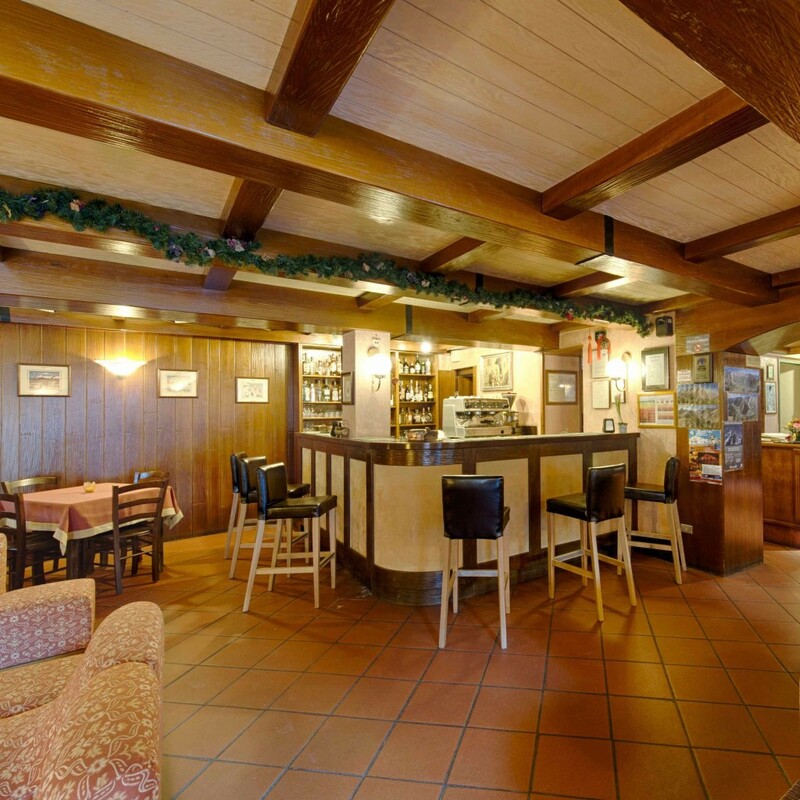 The Refuge is built from local stone in a traditional style, and is situated amidst the alpine flower meadows. 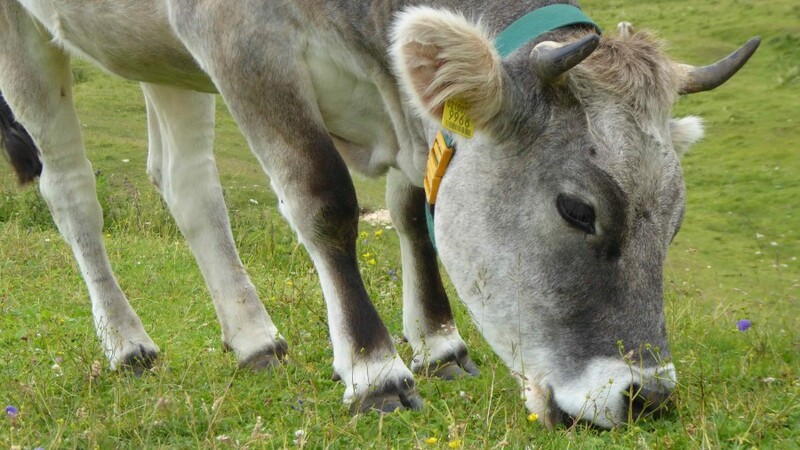 As with all refuges the accommodation is dormitory style, but there are private bedrooms available if you would like to enquire about securing a private room. Please note this will incur a supplementary fee and these room are very limited in number. The refuge has showers, and an outdoor area to enjoy the evening sun. 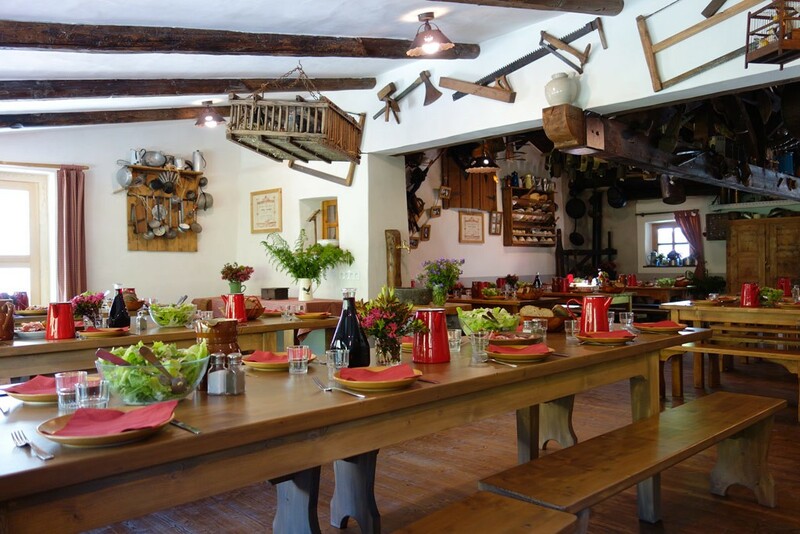 The food is traditional Savoyard dishes and plentiful. The reason we might use this Refuge is due to the very limited number of beds available in the tiny hamlet of Les Chapieux. 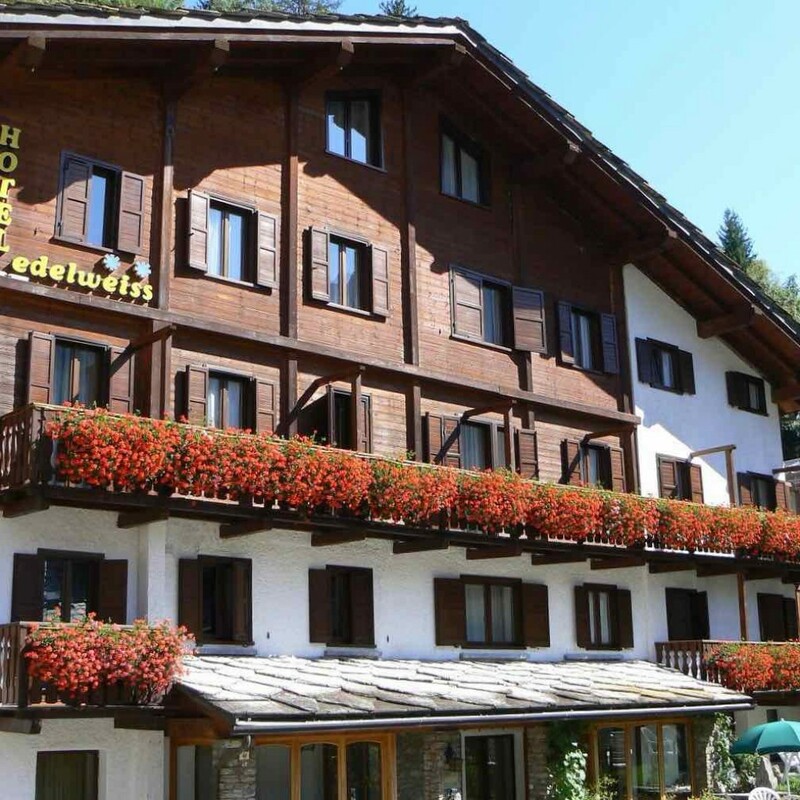 The accommodation in this valley is often fully booked more than one year in advance of a trip departing. Quite simply, we are grateful to have a hot shower, good food, and a comfortable bed at the end of a full day in the mountains. 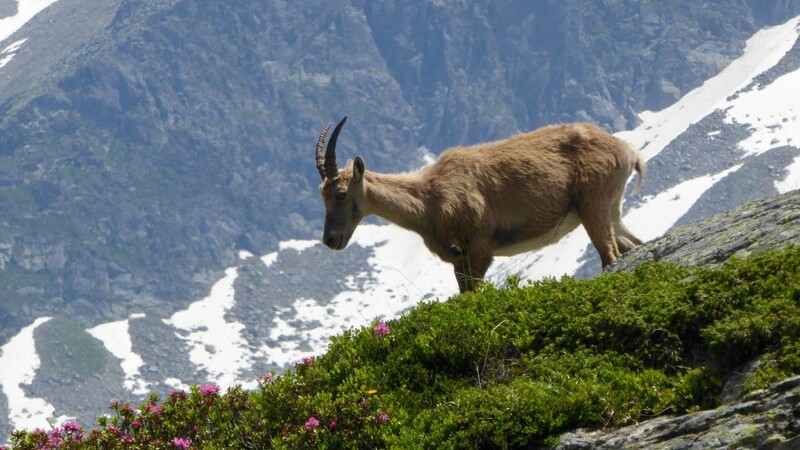 Chamonix, in France is easily reached from other European and worldwide destinations by road, rail, coach or plane. 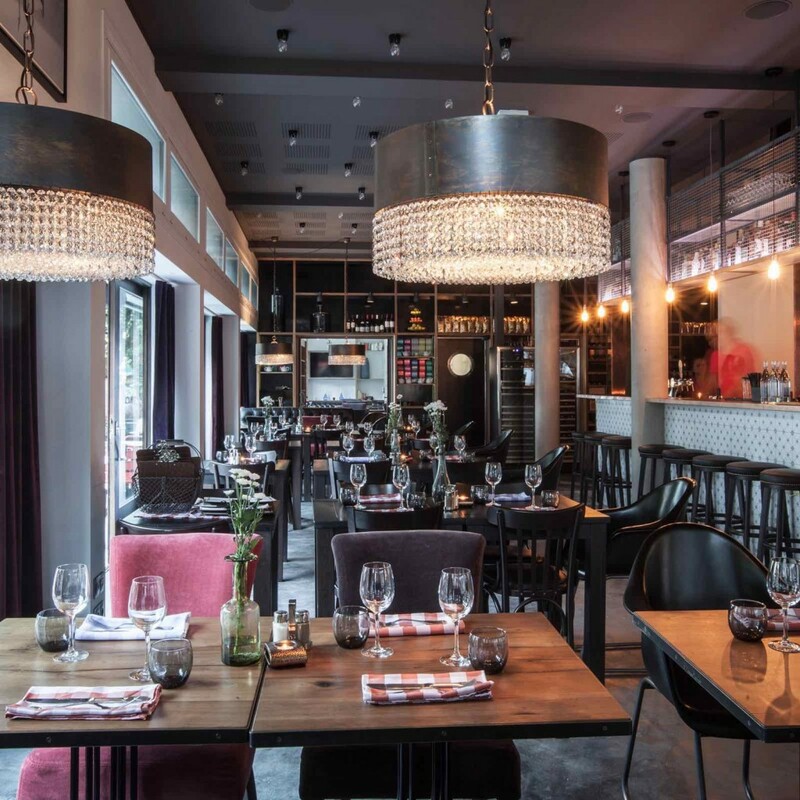 Geneva airport, in Switzerland, is the closest international airport to Chamonix, in France, only 75 minutes by road making shared transfers, buses or trains easy to arrange. 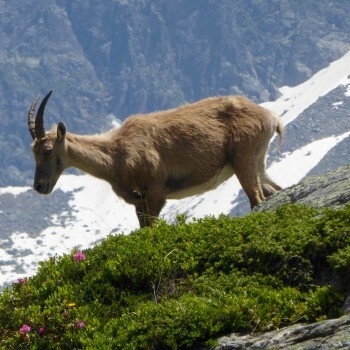 There are many companies running regular shuttle services between the airport and Chamonix, such as Haute Pursuit Transfers, and Mountain Drop-Offs. 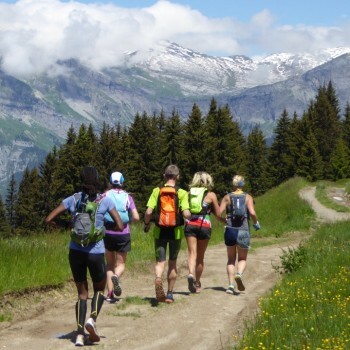 Upon booking we will send you a list of suggested equipment and clothing for your trail running week. 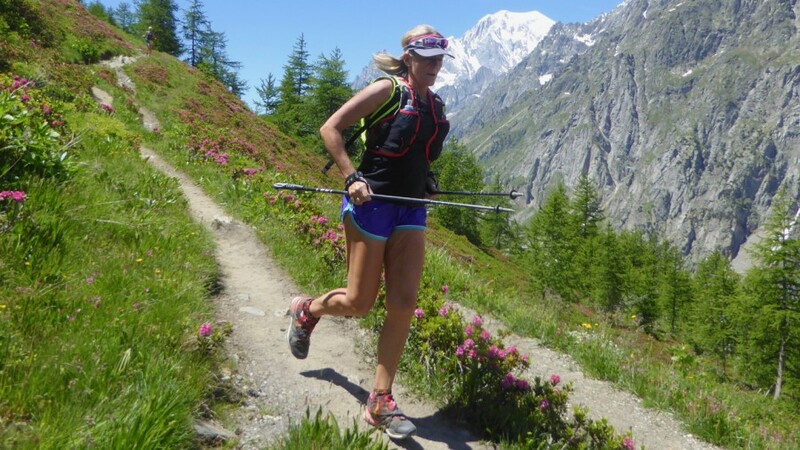 If you are considering taking part in the official Ultra Trail du Mont Blanc race it would be useful to read their UTMB Obligatory Equipment List. When booking a holiday as a solo traveller a twin bedded room comprising of two single beds, is booked as standard. This will be with someone of the same gender unless you request to pay extra for your own room. Single rooms are often limited in supply so if you would like to pay a supplement for a single room we urge you to get in touch as soon as possible. This trip has a single supplement of £345. 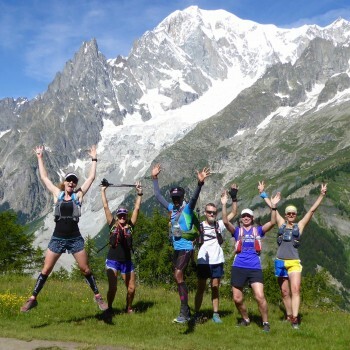 Inspiring film showing the highlights of the Ultra Trail Mont Blanc from 2018.